Carlos Ghosn, the chairman of Nissan and one of the world’s most powerful motor industry bosses, is reportedly under arrest in Japan over allegations of financial misconduct. Japanese media on Monday reported that the Brazilian-born executive had been held after prosecutors questioned him for various improprieties, including under-reporting his income. A towering figure in the car industry, Ghosn is credited with turning around several major manufacturers. He currently leads an alliance of Nissan, Renault and Mitsubishi. The Tokyo prosecutor’s office had no comment on the reports about Ghosn. Mitsubishi and Renault have also not commented, neither has Ghosn’s side. Nissan’s board is now set to meet on Thursday when it is expected to agree to sack Ghosn and Representative Director Greg Kelly. In a statement, Nissan said it had been investigating Ghosn and Kelly for months, after receiving a report from a whistle-blower. The Japanese car giant has since uncovered misconduct going back several years, the statement said. “The investigation showed that over many years both Ghosn and Kelly have been reporting compensation amounts in the Tokyo Stock Exchange securities report that were less than the actual amount, in order to reduce the disclosed amount of Carlos Ghosn’s compensation,” it said. The company said it had provided information to Japanese prosecutors and would recommend that the board of directors “promptly remove Ghosn from his positions”. French President Emmanuel Macron said on Monday that Paris would remain extremely vigilant about the fate of Renault and its alliance with Nissan after Ghosn’s reported arrest. But he went on to add that the French state, as a Renault shareholder, “will be extremely vigilant to the stability of the alliance and the group”. 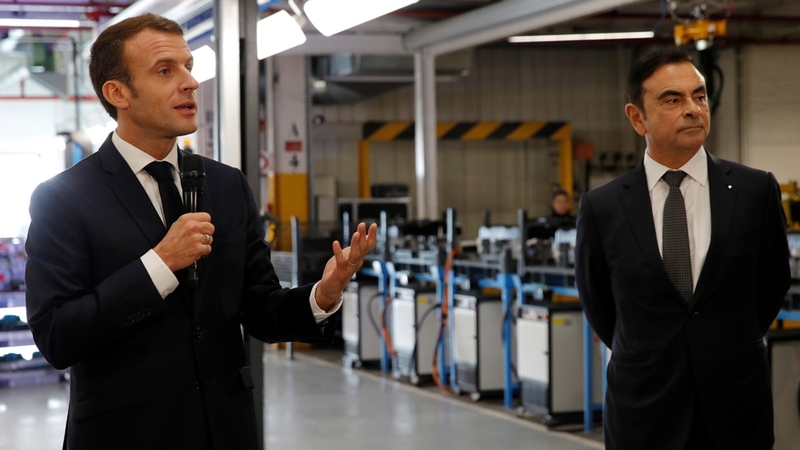 Macron said his government would give “all its support” to employees of Renault, one of France’s major companies.